Georgiana, Duchess of Devonshire, is a very important and famous historical figure of the eighteenth century. We all know her story. She entered into an unhappy and loveless marriage with a man she had nothing in common with, became the queen of fashion and of the ton, was an important figure in the Whig Party, was an affectionate mother, was always in debt because of her love for gambling and had the best friend from hell, Elizabeth Foster. But what is less known about Georgiana is her childhood. How was she as a child, and how those important years affected her? Georgiana Spencer was born at Althorp, the Spencer’s family home outside Northampton, on 7th June 1757. 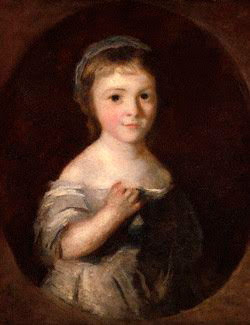 She was the eldest child of John Spencer and his wife Margaret Georgiana Poyntz. The couple had two more children, George, born in 1756 and Harriet, born in 1761. However, Georgiana, a precocious and affectionate baby, always remained her favourite child and the two women enjoyed a close relationship throughout their lives. The relationship with her father, instead, was more complicated. She obviously loved him but was also a little afraid of him at times. John Spencer was a very reserved man who showed his amiable disposition only in private, but he was also capable of an explosive, albeit not violent, temper, which was probably due to his ill-health. the winter at Althorp, the county seat of the Spencers, and “the season” in a draughty house in Grosvenor Square in London. 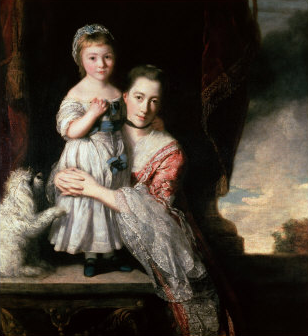 But when Georgiana was 7, the family moved to their new sumptous London residence, Spencer House, localed in St James’s and overlooking Green Park. 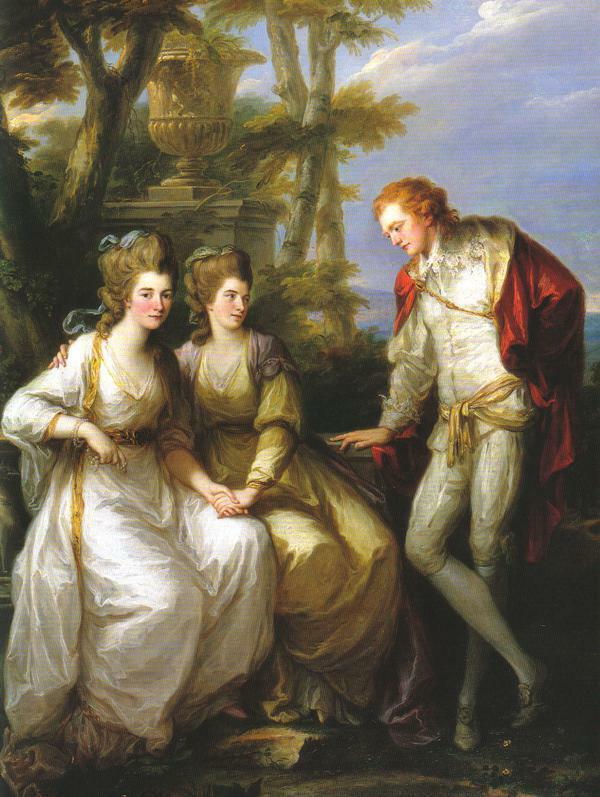 In 1765, John Spencer was created first Earl Spencer and thus little Gee, as her mother called her, became Lady Georgiana. The Spencers were always entertaining. Her father was a lover and a collector of rare books and Italian arts, plays and concerts were often held at Spencer house and after dinner the most famous actors and writers of the time would display their talents to entertain the guests. All this was done to consolidate the power and prestige of the family, with many jobs obtained and government policies discussed at the house. But it also meant that Georgiana grew up in an exciting environment and surrounded by artists, politicians and writers. From an early age, she started writing little poems and stories she would recite after dinner and would put up little plays for her family in the evenings. Adults were charmed by this little girl and failed to see that she craved and needed attention, something that would affect her for the rest of her life. She also received a good, but not overtly so, education. During the week, she studied languages (French, Latin and Italian), geography and deportment. She learned how to draw, to play the harp, dance and ride. She also received singing lessons. A good student who learned easily, Georgiana never had any problems grasping the complicated rules of etiquette and had great social skills, which pleased her mother a lot. When little Gee was 6 years old, her father had trouble with his lungs and his parents decided to go to Spa, in Belgium, hoping the warmer climate of the Continent would improve his health. George and Harriet were considered too young to travel abroad, but Georgiana went with her parents. Spa, however, didn’t have its hoped effect on the Earl’s health so they decided to try Italy instead. This time, her parents went alone, leaving little Gee with her grandmother in Antwerp. This deeply affected Georgiana, who was already missing her siblings. She felt this abandonment was a punishment for something she had done, but didn’t know what it was. As a result, in the year she lived with her grandmother, she became even more self-conscious and eager to please those around her. Lady Spencer noticed a change in her daughter when they finally reunited but she liked it and never realized how this lack of confidence would cause her to depend too much on other people as an adult. In 1766 and 1769, Lady Spencer gave birth to two daughters but they died after a year and three months respectively. The Countess and Earl were distraught and started travelling a lot. When at home, Lady Spencer would play billiards and cards, gambling at her house with her friends till the early hours of the morning. Sometimes, the children would creep out of their rooms to see what was going on at the gaming table. As an adult, Georgiana would lose exorbitant sums of money gambling. But for now, she was just a little girl affected by her sisters’ deaths. While it is true that she might have been a bit jealous of them soon after their birth because of all the attentions they received from their mother, their deaths made Georgiana worry excessively about her remaining siblings. She also became very sensible to criticism and would overreact, crying and screaming, at the slightest remonstrance. Her mother tried everything she could think of to calm her down, but to little avail. Time would help, though, and by the time she was a teenager, her reactions were more controlled. Georgiana had a privileged childhood. She had parents who loved each other and their children very much, she was close to her siblings, she received a good education and her family never had any money problems. Yet, by examining her childhood it is clear to see that her lack of self-esteem, eagerness to please others, her tendency of being dependent from other people, and maybe even her love for gambling, developed at a very early age. Lack of self-esteem and addiction go hand in hand and when people are desperate to please others, they are very easily influenced and often end up doing whatever they are asked, even if that’s gonna get them in trouble. But still, the question remains, how could she have had such a low self-esteem when everyone loved her and she didn’t seem to have had anything traumatic happen to her? I think Georgiana was simply a very sensitive child, more sensitive than most. Things that most people would consider normal, especially when taking into consideration the times and situations they happened in, like her parents travelling a lot (especially after the death of their two youngest daughters) and leaving her alone with her grandmother abroad for a year (it just wasn’t feasible to take her with them), affected her more deeply than they would others. Yes, she was very loved but maybe she didn’t think she was worthy of that love (maybe she felt that was why she was left with her grandma) or she thought she felt she had to behave in a certain way to deserve it (her mother was obviously pleased about Georgiana’s social abilities – may it be that Georgiana felt under great pressure to be the charming and social girl her mum loved and not disappoint her?) . Whatever the reason, she felt that being herself just wasn’t enough. And so, she needed to please others and gain her approval to feel loved. Unfortunately for her, no one, not even her parents, seemed to understand how vulnerable this charming girl actually was inside and so no one helped her. After all, to the outside world, she was a fascinating woman with a gambling addiction who just spent too much. Sad, isn’t it? What about you? How do you think her childhood experiences affected Georgiana?